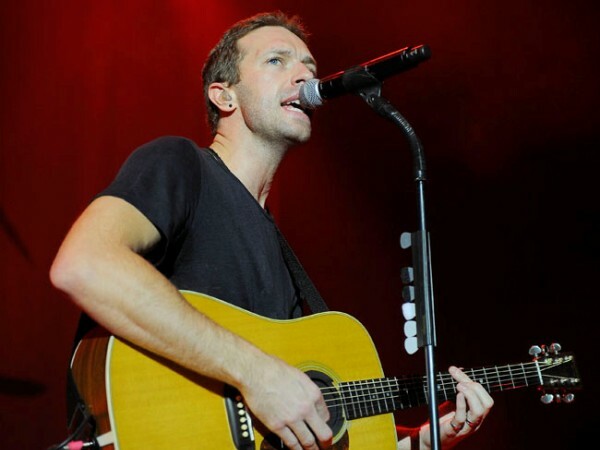 Chris Martin and Gwyneth Paltrow are determined to appear cordial for the sake of their children, but eyewitnesses have noticed some "tension" between them in the Bahamas. Chris Martin and Gwyneth Paltrow are determined to appear cordial for the sake of their children. The Coldplay frontman and the Oscar-winning actress jetted off to Eleuthera in the Bahamas with their daughter Apple (9) and son Moses (7), shortly before announcing their split on Tuesday but eyewitnesses claim there is definitely still "some tension" between the former couple. An insider told Us Weekly magazine: "When only Gwyneth and Chris are together, there appears to be some tension. But when the kids are with them, they appear to be one big happy family with no cares in the world." The source added: "(They) will try to make it as easy as possible (for their kids). The whole plan is to do this as amicably as possible." The 41-year-old actress and the 37-year-old British singer are renting a private beachfront villa that costs $7 500 (R79500) weekly, and have been spotted playing on the beach and horseback riding with their "happy and playful" children. But the insider added: "There are no signs of any PDA, holding hands, or kissing on the beach. There was definitely a noticeable intimate distance." A second source hinted the vacation has nothing to do with the pair's desire to remain friends, saying: "They left town just before releasing the statement to avoid the media frenzy."